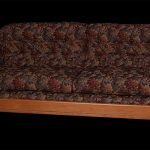 The Winnifred’s Settee is built using a 5/4 inch thick hardwood maple frame with pegged mortise and tenon joinery. It has a jute webbed foundation with eight way hand tied coil springs. It is padded with all natural horsehair and cotton. All exposed wood is finished using hand rubbed oil and wax. Shown here in Cherry. The Winnifred’s Settee is available in your choice of hardwood. The Settee shown here is available for immediate Delivery. 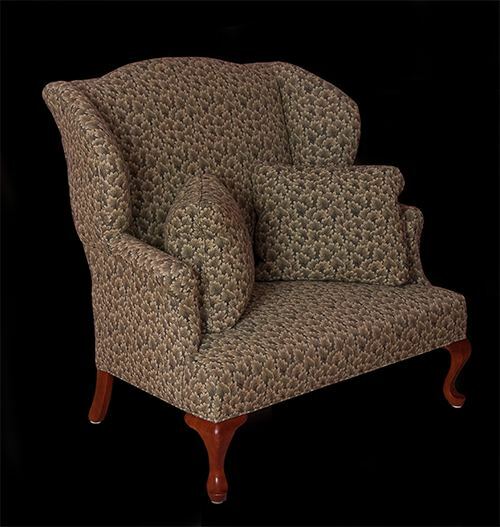 The Winnifred’s Settee is a special order item, please allow 8 to 12 weeks for estimated completion time. The Winnifred’s Settee requires 9 yards of fabric with a 7 inch or less repeat. 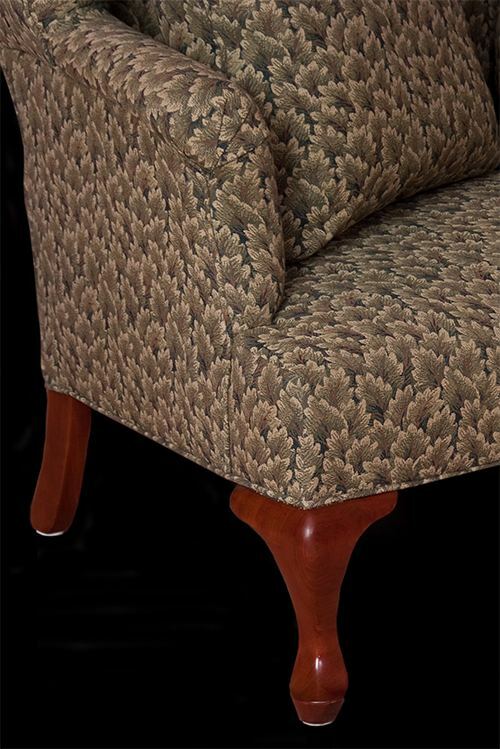 If your fabric has a larger repeat please contact us for yardage estimate. This Item is not eligible for free shipping, Shipping quotes available on request.